"I still don't know why until this day, but when the President came up and said hello to us kids, I blurted out, 'Mr. President, can I come over with you and have a sleepover at the White House?'" James Batson said. PORTLAND, Ore. — For Portland native James Batson, watching Wednesday's funeral for President George H.W. Bush made him emotional. He still cherishes the memory of a personal interaction with the late president as a young boy. In 1990, the 41st president made a visit to Portland. Batson got to go with his third-grade class at Woodlawn Elementary in Portland to see the president take off at Portland International Airport. When Batson's turn to speak to the president arrived, he had an interesting request. "I still don't know why until this day, but when the President came up to me and when he said hello to us kids, I blurted out, 'Mr. President, can I come over with you and have a sleepover at the White House?'" Batson said. The president kindly told him he couldn't do the sleepover, but he did let him see inside the presidential limousine. Batson said the inside of the limousine was just like a little office. "It was very roomy. The windows were extremely thick for bulletproof protection. There were glasses in there, drinks in there, there was a microphone we were using. It looked like a nice little office, very roomy, very spacious, very comfortable," he said. "I remember being extremely nervous at that time, standing next to the president. He had to coach me along, but I got through it. I will be forever grateful for that opportunity." The White House sent Batson an autographed picture from President Bush, a memento he still has today. "I still have the picture, I still have all the artifacts from those days," Batson said. "President George H.W. Bush will always have a special place in my heart." Batson, lives in New York today but said he'd love to return to Portland some day. 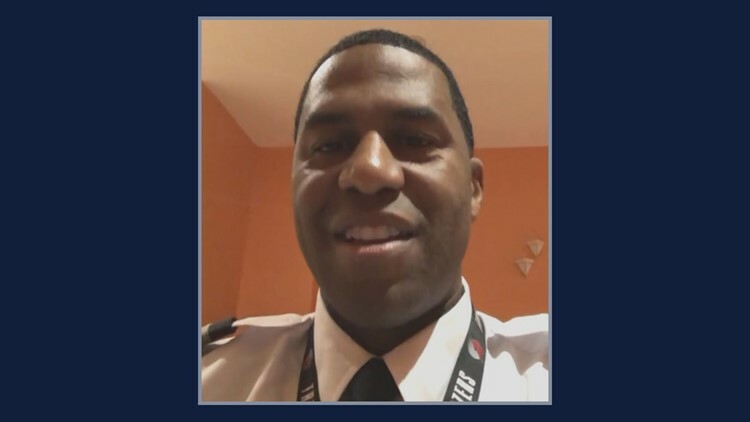 Batson is a commercial pilot, working for Air Wisconsin providing regional service for United Airlines. He said his dream of being a pilot began that day, when he met President Bush. "Seeing Air Force One take off, at that moment, that's when my dream came to me that I wanted to be a pilot," he said. "I'm proud to say I'm living out my dream." Brandon O'Rourke of KGW contributed to this report.